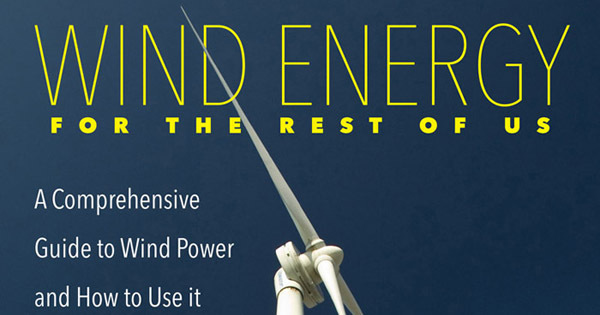 The digital version of Paul Gipe's Wind Energy for the Rest of Us has been re-launched on several platforms at $19.99, 33% off the previous e-book price. Shifting to a new digital distributor required re-launching the 560-page book on Amazon, Kobo, and Google Play. The Kindle version is available from Amazon. The epub version is available from Kobo and Google Play. The massive book contains 428 illustrations and nearly 120 tables. Some ereaders enable enlarged viewing of the illustrations. This feature shows details not visible in the print version. The digital version of Wind Energy normally sells for $30. Other digital books on wind energy sell for $15 to $95. At $19.99 Wind Energy is priced to make the book and its subject matter accessible to more people. There are no plans for a Nook version of Gipe's book.